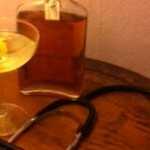 Alcohol Misuse by Doctors – The GMC’s Legal Approach | Doctors Defence Service – UK. Each year a number of doctors in medicine are referred to the GMC because they are considered to be unfit to practise without some form of GMC intervention, as a consequence of their misuse of alcohol. A referral to the GMC may be made by an employer who has concerns about an individual who smells of alcohol, or who has come to work drunk. Alternatively, a doctor may be found by the police to be under the influence of alcohol while driving, which in turn leads to a criminal conviction and a referral to the GMC. The number of doctors and other professionals living with an alcohol dependency has been reported in the press as being fairly high. On receiving a complaint, the GMC will ask the doctor for their views. The doctor may be asked to see a psychiatrist (or two) who is a specialist in alcohol misuse health issues. The doctor may also be asked to see a General Physician. The opinions of the doctors will be sought as to whether the doctor in question has a health problem concerning alcohol. In most cases, the examining doctors will make reference to the International Statistical Classification of Diseases and related Health Problems [View Latest Edition (published by the WHO) (external link)] referred to as ICD10 for short, when forming an opinion as to the level of alcohol use by the doctor and its impact on the doctor’s life. Each disease and disorder in the world usually has its own classification within ICD10, making it easier for consensus to be reached about what a particular individual is suffering from. A. There must be clear evidence that the substance use was responsible for (or substantially contributed to) physical or psychological harm, including impaired judgment or dysfunctional behaviour. D. The disorder does not meet the criteria for any other mental or behavioural disorder related to the same drug in the same time period (except for acute intoxication). F. Persistence of drinking in spite of evidence of harmful effects. In a number of cases, there may be some overlap between the two ICD classifications. In other cases, the doctor may be found to be well and not using alcohol in a harmful or dependent way that affects or potentially affects patient care. The GMC’s (now MPTS) panels that consider a doctor’s fitness to practise will look at the opinion of the medical examiners and the evidence in support of those opinions, before going on to determine whether a doctor’s fitness to practise is impaired by reason of health (or specifically alcohol use). Where it is considered that a doctor is suffering from ill-health or an ongoing risk of ill health that may affect the safety of patients and others that a doctor may come into contact with, the GMC is likely to seek an order from the independent Medical Practitioners Tribunal Service (MPTS) [an independent tribunal service that has taken over adjudications formerly undertaken by the GMC) to impose conditions of practice (restrictions) on a doctor’s practice. Interim conditions may be imposed by the MPTS, until a formal fitness to practise panel (also held before the MPTS) can assess the case, and a doctor will be given an opportunity to make representations where an MPTS interim orders hearing is convened. Likewise, a doctor may make submissions and challenge the evidence against him (by calling witnesses of his/her own, including expert witnesses, and by giving evidence personally) at a substantive MPTS fitness to practise hearing. A right of appeal exists where a doctor is unhappy with the outcome of a hearing. (x) before commencing any medical practice, shall inform his employer and any potential employer in respect of medical work requiring registration with the GMC that he is subject to the conditions imposed by the Health Committee and shall inform that person of the preceding four conditions restricting his practice and of the name of his medical supervisor. 1) To notify the GMC promptly of any post she accepts for which registration with the GMC is required and provide the GMC with the contact details of her employer [and the PCT on whose Medical Performers List she is included, or the local Health Board/Health & Social Care Board if employed in Scotland, Wales or Northern Ireland]. 2) At any time that she is providing medical services, which require her to be registered with the GMC, to agree to the appointment of a workplace reporter nominated by her employer, or contracting body, and approved by the GMC. 3) To allow the GMC to exchange information with her employer, or any contracting body for which she provides medical services. 4) To inform the GMC of any formal disciplinary proceedings taken against her, from the date of giving these undertakings. 5) To inform the GMC if she applies for medical employment outside the UK. 6) To obtain the approval of her medical supervisor before accepting any post for which registration with the GMC is required. 8) To cease work immediately if her medical supervisor advises her to do so. See also our page on the Criteria Concerning the Opinions of GMC Psychiatric Medical Supervisors. The criteria may also be used by General Physicians who examine the doctor concerned. The determination of the medical supervisor is likely to be given great weight by the panel considering the doctor’s case, when determining whether the doctor’s fitness is impaired by reason of their alcohol use or dependency. A treatment plan will often be agreed, which generally requires abstinence. For current recommended approaches to treatment, see the NICE guidelines, intended for doctors who treat patients who have an alcohol related disorder. The GMC panel must act proportionately in the public interest, to protect patients and uphold confidence in the profession, and to protect the doctors’ interests. Where a doctor proves over a period of time that he is not a risk to patients and the public anymore, because he has full insight and support mechanisms, the GMC may well close the case. 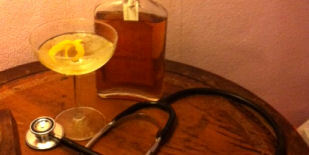 Doctors are encouraged to join support organisations in their locality, such as Alcoholics Anonymous. There are also various support groups for doctors, whose meetings are restricted to doctors with a history of overuse of alcohol – see for example the British Doctors and Dentists Group. Doctors may also be able to find support through the Practitioner Health Programme, which assists doctors who are suffering with mental health problems or drug or alcohol dependencies.